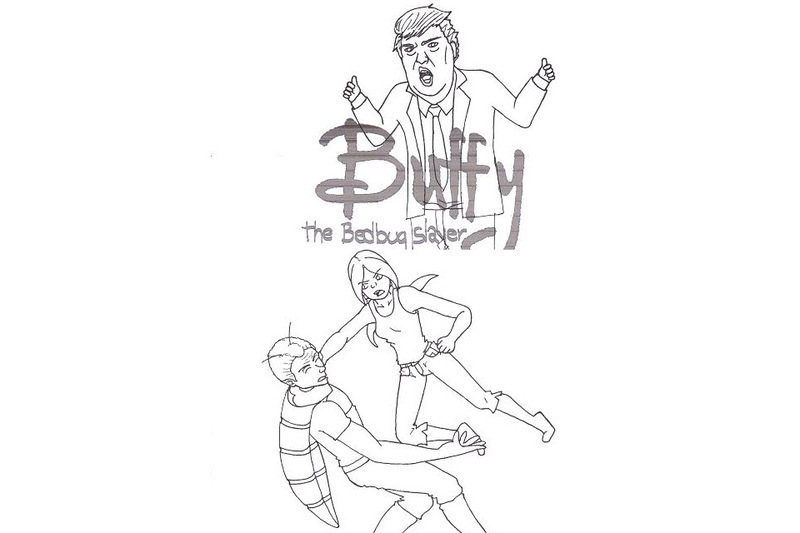 Buffy Summers is the Slayer, up against new bloodsuckers – bedbugs and a corrupt landlord named Dennis Drumpf. Who will win in this great battle against evil? This parody celebrates the much-loved TV series. Full disclosure: The writer of this show is my friend and fellow blogger Gina Musto (The Room Where It Happens) and I'm super excited for her and her first Fringe show (and all the drama and angst and joy that that entails). Remember last year at the Fringe? So many shows about Donald Trump. It's like it was all a joke then, and now it's all too real and hard to even joke about. But planning for Fringe shows takes quite a bit of time, and the world is changing day to day. So let's talk about the Buffy part! Buffy is retired from slaying, but bedbugs are her newest enemy in the form of a bedbug version of Spike and her evil landlord. The great fun in this show is the spot-on portrayals of Buffy, Spike, Willow and Dawn. "SHUT UP, DAWN" can never be said enough. 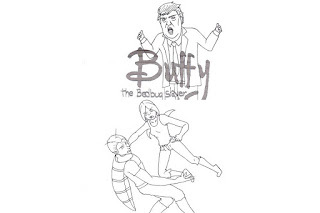 It's a lovely nostalgic trip for the Buffy fan, plus a little real-life angst in the form of Trump. Fun! Not SAD!